Simple Cloud Hosting concentrates on three key selling points to stand out: simplicity, pricing, and high-performance cloud servers. Beautiful ONE-CLICK Server, SSL, DNS, Website, CDN, DDos, Firewall, Email & Backup Management Experience. Everything Automated for your convenience. It'll come configured with Ubuntu LTS OS and all of the softwares your server needs such as Nginx, Apache, PHP, & MySQL will be installed automatically. Our CDN hosting puts your website content closer to your users with 34 locations around the world, powered by Tier 1 network partners. No need to purchase SSL & go through hassle of installing it on your server manually. Get free SSL certificates with a click of a button using our simple Let's Encrypt integration for unlimited domains. Full featured DNS management control panel allows you to manage your domains. All your DNS Records will be automatically created once you add a domain in the panel for convenience. Check real-time server stats such as CPU usage, memory usage, disk space, bandwidth, & disk read/write rates on your dashboard. Keep an eye on everything through our dashboard. Unlike other control panels, you don't increase your attack surface exposed on each server. Every unused port is closed from outside access to block unauthorized attempt to access your server. The only port opened is 22/tcp (SSH), 80/tcp (HTTP), 443/tcp (HTTPS). If you need to change any of these settings, you can do it manually. From the moment you connect your server, malicious traffic is blocked by an iptables firewall we configure on your server. If you need your server's firewall rules to be different than the firewall rules configured by ServerPilot, you can customize your server's firewall. We leverage on modern security practices with an experienced security team, and an architecture designed for security to keep your servers and websites safe. We keep your server's packages up to date so you always have the latest security patches. HTTP/2 invented by Google, reduce page load time in web browsers. HTTP/2 is automatically enable on your SSL-enabled apps and websites. HTTP/2 works only on SSL enabled sites. Using the HTTP/2 protocol will help make websites faster and overall will improve the web's user experience. See how it works here. Once enabled, your server will automatically be backed up weekly and the old backup images are available from your panel for easy replacement in an emergency. Your server will stay up and running during the backup. Backups are saved in a different network away from your servers. Snapshots copy an image of your entire server and store it on our servers. They are different from the "backups" feature, which offers automated backups. It can be done manually with ONE-CLICK and you can use the saved images in an emergency. Advanced AJAX multiple file upload to your server with progress bar. Drag & Drop from your local drive directly to browser's window to start upload. Copy, move, rename, create, edit or delete online files and folders. Create archives with zip or unzip and decompress files online. Search, filter and view files in tree-view. Our simplified installer lets you host multiple WordPress sites on your server supporting multiple PHP versions while running NGINX as a reverse proxy in front of Apache for increased speed and performance. You can install any PHP app on your server like content management system website scripts like Joomla, Drupal, Magento, Laravel, Zen Cart and many others. In case you're not familiar with how to install a particular app, we've put together a few tutorials to help you get started. We configures Nginx as the public-facing web server because it is much more scalable than Apache. Unlike Apache, Nginx can handle handle tens of thousands of simultaneous client connections. As Nginx waits until it has completely received the request before proxying the request through to Apache, your server is safe from Slowloris attacks. For your SSL-enabled apps, Nginx also provides extremely efficient SSL handling and HTTP/2 support. Apache is a popular open-source, cross-platform web server that is, by the numbers, the most popular web server in existence. It provides many powerful features including dynamically loadable modules, robust media support, and extensive integration with other popular software. Today Apache HTTP is the most popular web hosting platform in the world and is used across industries and sectors to host all types of applications. MySQL is the world's most popular open source database. With its proven performance, reliability and ease-of-use, MySQL has become the leading database choice for web-based applications, covering the entire range from personal projects and websites, via e-commerce and information services, all the way to high profile web properties including Google, Facebook, Twitter, YouTube, Yahoo! and many more. Our panel uses very few system resources as there is no frontend running the server, unlike Cpanel which needs 1 Gb ram for it to run. Our control panel uses 20MB of memory. Other than that, there's usage by your system services: Nginx (2MB), Apache (10MB), MySQL (45MB), and PHP-FPM (35MB). PHP-FPM will then have an increase in memory usage based on how many sites you are running and how busy those sites are. We recommend & provide you using a free 3rd-party mail hosting provider rather than running your own mail servers. A free 3rd-party mail hosting provider handles all aspects of your domain's email. They provide spam filtering and webmail. Providing professional, reliable mail hosting is difficult or impossible using existing mail management control panels. When you have swap space enabled and your server runs out of memory, the kernel can use swap space instead of killing processes to free memory. This means a temporary spike in memory usage won't crash your database or websites. We provide the infrastructure and the ability to select to the nearest 12 data centers located in New York, San Francisco, London, Singapore, Frankfurt, Bangalore & Amsterdam. You have complete control of your Cloud Server. Create as many backups, reboot, repair, destroy or rebuild from anywhere in the world, up to 10x faster. Cloud servers with simplicity, robust and reliable infrastructure and option to choose datacenters best suited for your location. Websites load twice as fast, on our global Content Delivery Network. Your websites Secured against threats. Protected from DDoS attacks. Fully managed, tiered CDN for global page and asset cache coverage. 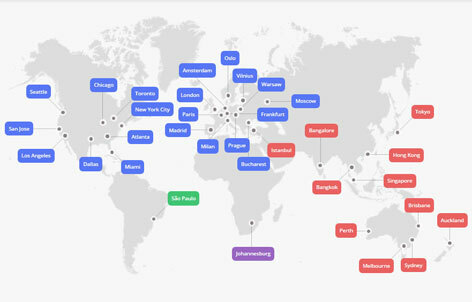 BunnyCDN puts your content closer to your users with 34 locations around the world, powered by Tier 1 network partners. 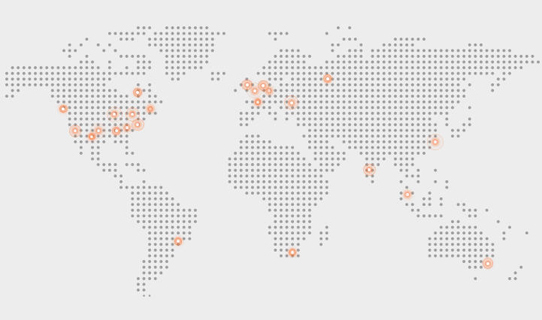 Thanks to our global network, BunnyCDN can be reached in less than 30 milliseconds in most areas around the world. All of our servers are powered by SSD technology to ensure millisecond latencies when serving your files. DDoS attack is an attempt to overwhelm the target (a computer, few connected computers or a whole DNS network) with high traffic from multiple sources. All plans provide unlimited Layer 3-7 DDoS Protection. Whichever you pick from them, you will be able to use 4 DDoS protected DNS servers, 21 Anycast locations and unlimited DNS records and DNS queries. Simplified Modern control panel. It's essentially a modern cPanel alternative. 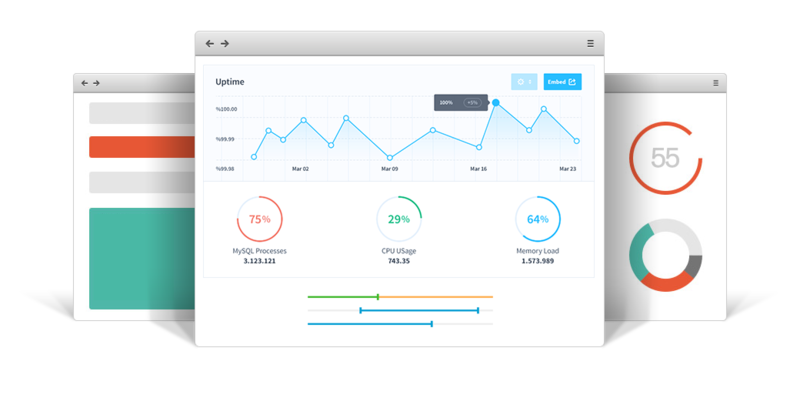 We give you real-time server stats such as CPU usage, memory usage, disk space, and bandwidth. Keep an eye on everything through our dashboard. Automated updates, firewall, reporting, and monitoring. Connect new servers in seconds. Move around our interface at light speed. Manage and monitor all of your servers and websites in one place. Even a newbie can setup the server to host websites in less than 15 minutes. Follow our in-depth easy tutorials about one click Provisioning Servers, One click DNS Management & Domain setup, Easy 3rd Party Domain Email setup & One click Website Deployment & One click Backup Management. Stop worrying about control panel upgrades. You never have to worry about your control panel version, what might break when you upgrade, & whether you missed an update on any of your servers. Your server's packages will be up to date so you always have the latest security patches. Our automated systems install & configure all of the necessary software for running your websites. Automated package updates. System clock updates. You can rest assured that no detail was missed. Secure over HTTPS your server & websites with a free SSL certificate and deploy it with just one click. If you order a server from us, it'll come already configured with Ubuntu LTS server OS & all of the softwares your server needs such as PHP, MySQL, Nginx & Apache will be installed automatically. Our system will secure your server with a firewall. Instant, painless server hosting for the first time. Ready to Provision a Server & enjoy Peace of Mind?